Orange Bay University’s third phase classes in 2018 were completed successfully from June 22nd to 24th and marked the conclusion of the spring term of 2018. In the three-day intensive course, eleven case studies in global luxury, and fashion and lifestyle brands were undertaken. Ten lecturers from investment, industry, technology and academic fields, led the studies of a series fashion-related topics, including brand investment and withdrawal strategy, luxury management, brand IP building, celebrity entrepreneurship, and data-driven innovation. In 2008, The American private equity, The Carlyle Group acquired a 48% per cent stake in the Italian luxury down-jacket brand Moncler and became the largest shareholder. In the following years, with Carlyle’s support, Moncler had developed rapidly and opened 33 new stores in major global markets from 2008 to 2010. The sales growth in Asia and the U.S. is particularly prominent. The Carlyle Group considered withdrawal and cashing out at this point. In 2011, The Carlyle Group had two withdrawal options. One was to go public listing (IPO). However, it was during financial crisis and the market was volatile. The valuation feedback from investment banks was not satisfactory. The other option was to sell the stake to another private equity Eurazeo and to achieve partial withdrawal. In the case study process, Claire Shen, Chartered Financial Analyst (CFA) and the Academic Director of Orange Bay University, led students to analyze the market environment and different parties’ positions from different decision-makers’ perspectives. In-depth studies on the decision-making process and the complex transaction were conducted. Jeacy Yan (闫怡勝) is the guest lecturer of Orange Bay University and partner of IDG Capital. She has over 10 years of experience in international brand investment and acquisition and has participated in IDG’s investment in Moncler. 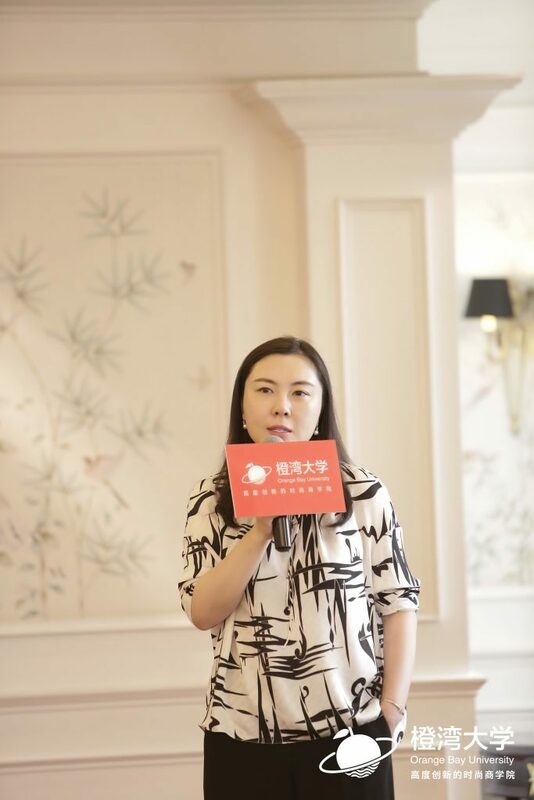 Based on the case study, Ms. Yan shared her investment practices and provided further analysis on the decision-making factors of private equities in investment and withdrawal. At that time, The Carlyle Group and Remo Ruffin, the CEO of Moncler were hoping to have the company public listed. However, the market was experiencing the European debt crisis. There was a window period in 2010 and 2011, but the overall capital market was under pressure. Therefore, the feasibility of IPO was not ideal, and the valuation was not satisfactory. The IPO process is usually long with possible delays. The process of selling to another fund is relatively faster. Based on different judgement of market outlook, participating investors will have different terms and conditions sometimes, for example, investor protection terms and so on. This will affect the choices of sellers. What resources can new investors bring in? IDG Capital invested in Rossignol, the famous French ski-wear brand in June 2018. They demanded Chinese investors while seeking investment. The brand is optimistic about the development of skiing in China in the next few years. They hope to explore the Chinese market with the help of Chinese investors. This was not very obvious in the case of Moncler. Because company leaders were very strong-minded and did not care much about resources other than capital brought by investors. Will the company remain independent? Moncler did not want to be controlled by large-scaled luxury groups such as LVMH or Kering. Founders will lose control and influence. Remo Ruffini is a competent and strong-minded CEO. He did not want to sell to strategic investors. Entrepreneurs wanted to be public-listed independently, making Moncler a grand enterprise and brand. Can founders and management teams sell their shares and cash out? The last key point in many deals is that whether previous shares can be sold, which is related to whether founders and management teams can cash out. In the final deal, Moncler was sold to a PE fund, in which The Carlyle Group sold 30% and the management team also sold a small portion and achieved partial cashing out. With IPO in a volatile market, it is not a good signal if management teams sell shares. Therefore, no matter it is IPO, M&A, or minority interest transaction, the financial transaction is complex, and changing rapidly with many factors to be considered. In addition, many M&A cases in international market adopt the bidding mechanism. Buyers participate in multiple rounds of bidding. The whole dynamic gaming process is more subtle and complex.